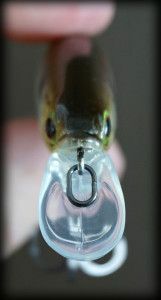 One of the most popular way’s to catch big bass in the Ozarks is on a jig. Football jig, swim jig, standup jigs… If the lure has “jig “in its name than you can bet we are throwing it. 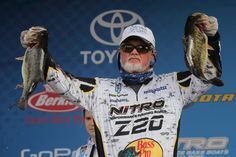 Most bass anglers know that a jig can be a great way to put big bass in the boat. There is just something about a vertical falling jig that drives fish crazy! Fishing a jig can be as easy as taking one out of the package and tying it on your line, but if you really want to maximize your efforts checkout these few modifications. 1. Add a craw fish trailer. Choose your favorite “craw fish” style soft plastic and thread it on to the jig hook. 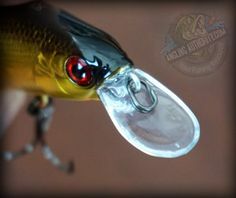 The trailer gives the jig a natural look that closely mimics a live craw fish in a defensive position. 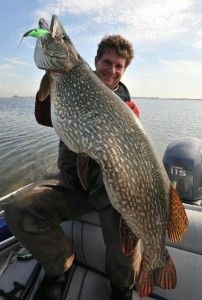 I like to use the 4.25” Shred Bug from Shredlife Fishing Co. (www.shredlifefishing.com). Pick a color that matches the color jig that you are throwing. 2. Trim the skirt. 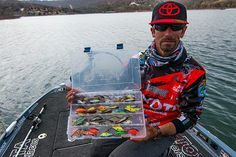 Most jigs that you buy from the store will come with a standard silicone or rubber skirt that hangs past the end of the hook. This look is fine for certain situations but in general, I like to trim the skirt at an angle just at the bottom of the hook. This shortens the skirt allowing it to flair and pulse more in the water. Also you spent good money on your plastic jig trailers, you don’t want that skirt covering them up. 3. Modify your trailer. The 4.25″ Shred Bug from Shredlife is a great bait for pitching and flipping on a standard Texas rig. But for jig fishing, I like to cut a half inch off the top to shorten the bait a bit. I also like to modify the claws. Use a razor blade or small knife and cut a small “V” in the bottom of each claw. 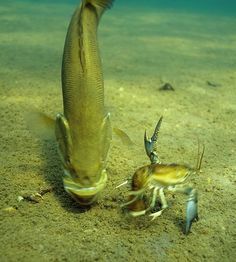 This turns the flapping claws into lifelike pincers. Sometimes a small variation can draw big bites! Try these easy jig modifications next time you’re looking to land a big one!